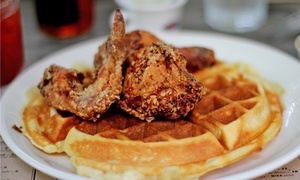 Comfort Food at Chef Eddie's (Up to 52% Off). Five Options Available. 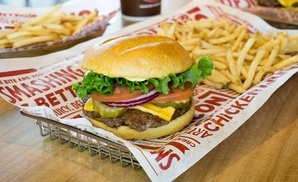 American Food at Smashburger (Up to 43% Off). Two Options Available. Orlando, Florida, nicknamed as “The City Beautiful” with the fountain of the Lake Eola as a symbol is a major city located in the Central Florida. The locals and travellers have known this place as the “The Theme Capital of the World.” The numerous tourist attractions had captured the hearts of people that boost up its tourist population each year. Orlando, Florida is the cup of all the amusing theme parks. Visitors of all ages and from all walks of life can release the child in them through the classic magic Kingdom and Parks. The Walt Disney World Resorts that comprises four major theme parks, namely Epcot, Magic Kingdom Park, Disney’s Animal Kingdom, and Disney’s Hollywood Studios. Not just that, the place also provides two water parks, namely Disney’s Blizzard Beach and Disney’s Typhoon Lagoon. This is a fascinating and breathtaking place for rides, animal adventure, dining, shopping and more. The fun does not stop there. Universal Orlando Resort is one of the top most perks of the place. Get in touch with the biggest movie characters, TV and pop celebrities. Play, scream, and laugh really hard at the Universal Studious and Universal Island of Adventure. Meet Spidy, Shrek, Harry Potter, and a lot more. The place of Orlando has a treat for all those who are ocean lovers with an ocean adventure at Sea World Orlando. This is an under the sea experience with animals, rides, and shows. The park has Sea World and Discover Cove where you can swim with dolphins. Orlando, Florida welcomes you to the LEGOLAND Florida. It is the newest park highly functional for kids. It has more than 50 rides, performs shows, and has an interactive Lego display. It is the great family bonding, spot found at the central Florida. These are the theme parks that visitors enjoyed exploring. The place of bountiful theme parks is also a home of world-class resorts and hotelsSome of it is a Light House Key Resort and SPA, Florida Dream House, Tuscana Resort, Elite Vacation Homes, Disney Vacation Club, Caribe Cove Resort, Bahama Bay Resort, Fairfield Inn and many more. These are just some of the Orlando Vacation Homes that comforts visitors while they stay. 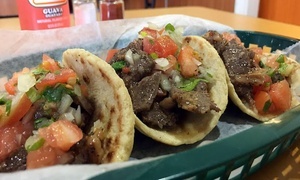 The Orlando Campgrounds and RV resorts are a good place's to discover the place's nickname itself, “The City Beautiful.” These are the best trail for hiking, biking, fishing, boating, and a bunch more. Places like Disney's Fort Wilderness Resort & Campground, Titusville/Kennedy Space Center KOA, Wekiwa Spring State Park, The Great Outdoors, Tropical Palms Resort & Campground and a lot more places for outdoor activities. These are places that get you closer to nature. The beauty of the place is also open for the best dining and shopping.There numerous events in Orlando, Florida. The best time to enjoy a vacation with the family. Christmas season, Easter, Halloween, Magical Dining Month, and more are the best season of live performances at Orlando. A perfect time to experience the Orlando’d theme park events, sports events, performances, parades, and festivals.